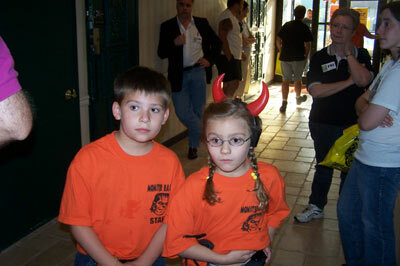 Photos provided by Barb Heiss, Karl Spisak, Brian Nichols, Jim and Marian Clatterbaugh and Phil Smoot. 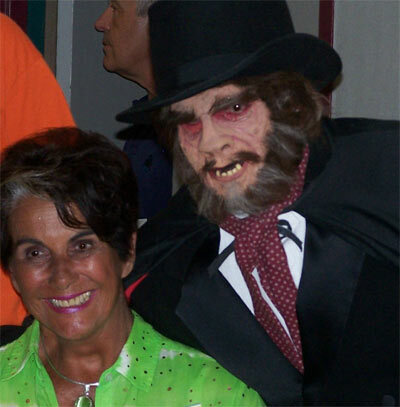 Sara Karloff with Mr. Hyde (Bill Edwards) - anothe fabulous Ron Chamberlain make-up! Richard Valley, publisher of Scarlet Street Magazine, has a go at game show hosting with a version of To Tell The Truth...monster style. 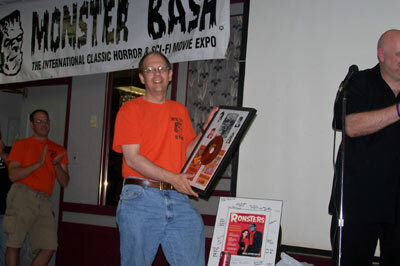 Surprise awards for Bashmaster Ron Adams. 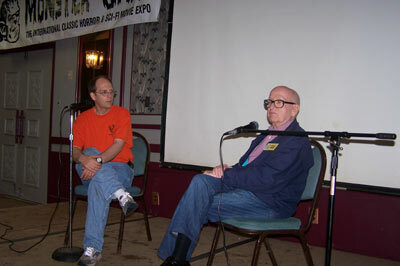 Spy smashers John and Paisley Adams of Mystery, Inc.
Ron Adams with Richard Gordon for a Question and Answer session. 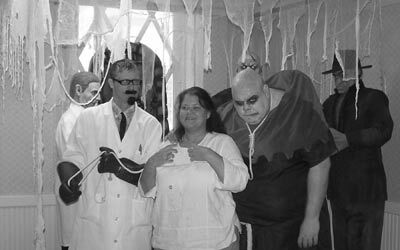 Ron Chamberlain - Master Monster Bash Make-Up Artist with Sara Karloff and crew. 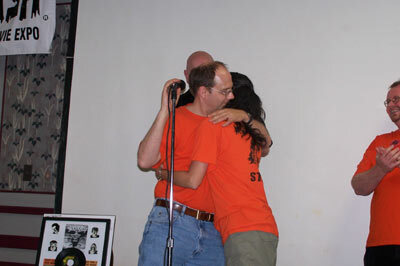 Ron and Ursula on stage. 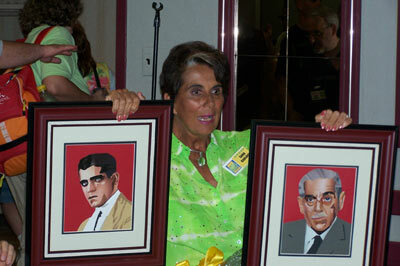 Sara Karloff is presented two wonderful collages of her dad by Mike High. 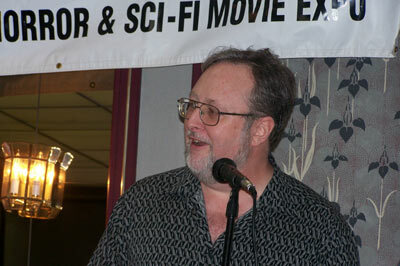 Mike runs the Karloff Yahoo Group. Paisley and Ron Adams. Daughter and father enjoy the classic monster scene together. 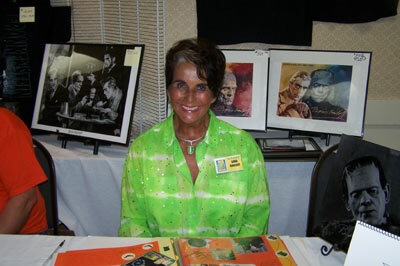 Sara Karloff at her table in the Guests of Honor Room. 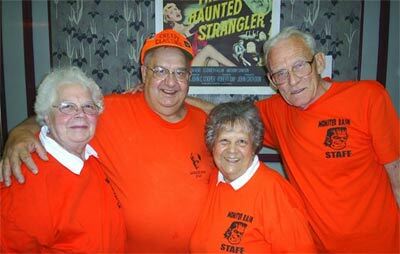 The Monster Bash senior staff: Marge Vogan, Tom Adams, Shirley and Roger Tinkey. 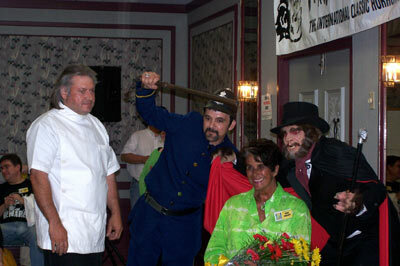 Shane Stone as The Mad Doctor with fan and Creighton of Ghoul A Go-Go! 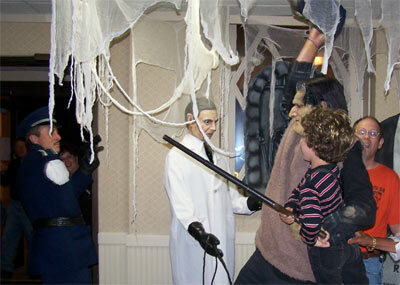 Something you don't forget: The inspector's arm is torn from the socket at Monster Bash. Attendees from Kentucky, The Spisaks. 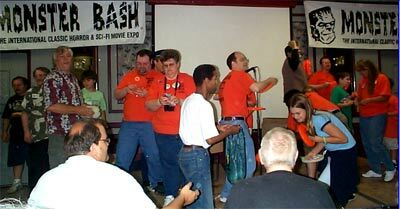 The staff pelts the audience with free monster goodies! 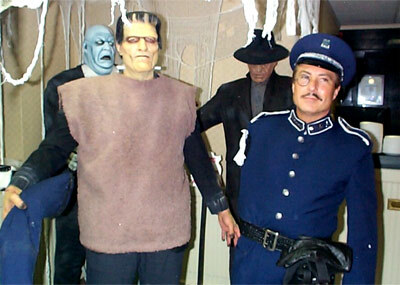 A great shot of The Monster (Todd Spiedel) and The Inspector (Mark Statler). 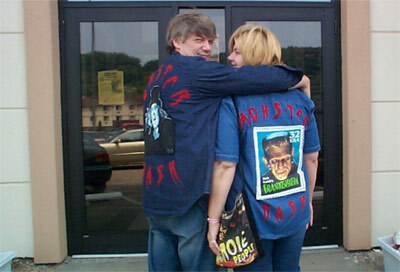 Make-up by Monster Bash Master Monster Creator Ron Chamberlain. 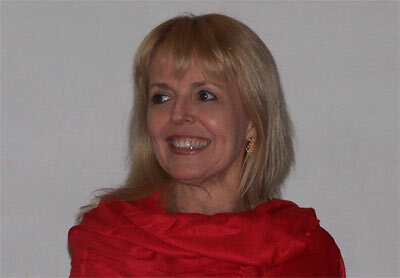 The lovely Susan Gordon (TWILIGHT ZONE, THE BOY AND THE PIRATES, ATTACK OF THE PUPPET PEOPLE, TORMENTED and many other credits). Little known fact: Susan is fluent in Japanese.